Do you have pets or thinking about getting a new pet for your kids? Our rescue dog and two cats are part of the family, and we are happy to have a guest author join us to share some of the benefits of having kids grow up with pets. While cats and dogs do plenty to help improve the lives of us adults, science is finding they can do just as much for our children's lives. Though many parents are often afraid that bringing a cat or dog into the home will lead to bites and scratches, the fact is cats and dogs do far more good than many people realize. 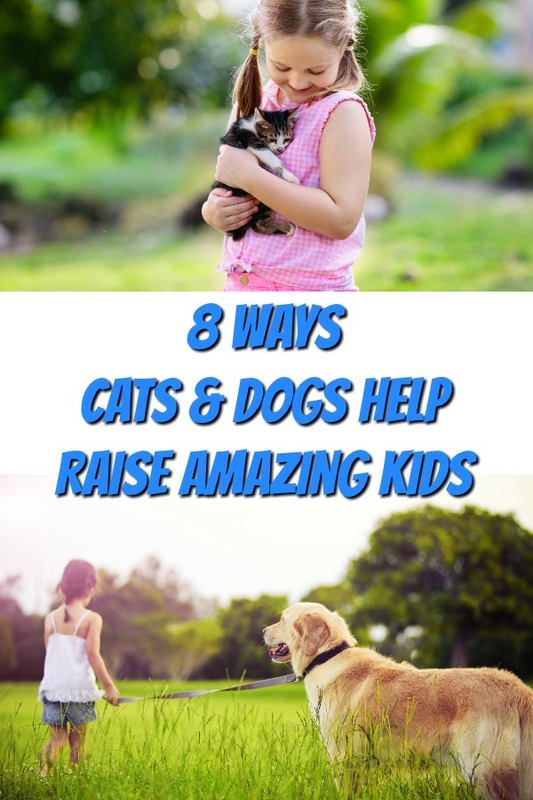 Whether it is helping to improve children's health, assisting them in doing better in school, or perhaps setting the stage for a successful career as an entrepreneur, cats and dogs do these and many other amazing things for our kids. If you're ready to learn more about what scientists have discovered in recent years, here are some ways cats and dogs help raise amazing kids. If there is one thing parents know about all too well when it comes to their kids, it's that they are often prone to being sick. However, scientists have discovered that having a cat or dog in your home can play a significant role in keeping children healthy. In a study published in the Journal of Pediatrics, researchers followed groups of children from birth until they turned one-year old. For those children who had cats and dogs as members of their family during that time, scientists determined these kids had 31% fewer respiratory infections and 44% fewer ear infections. The findings are attributed to children being exposed to pet hair, dander, pollen, and other things early on, all of which helped strengthen their immune systems. Kids are also less likely to develop allergies if they’ve grown up with a pet. 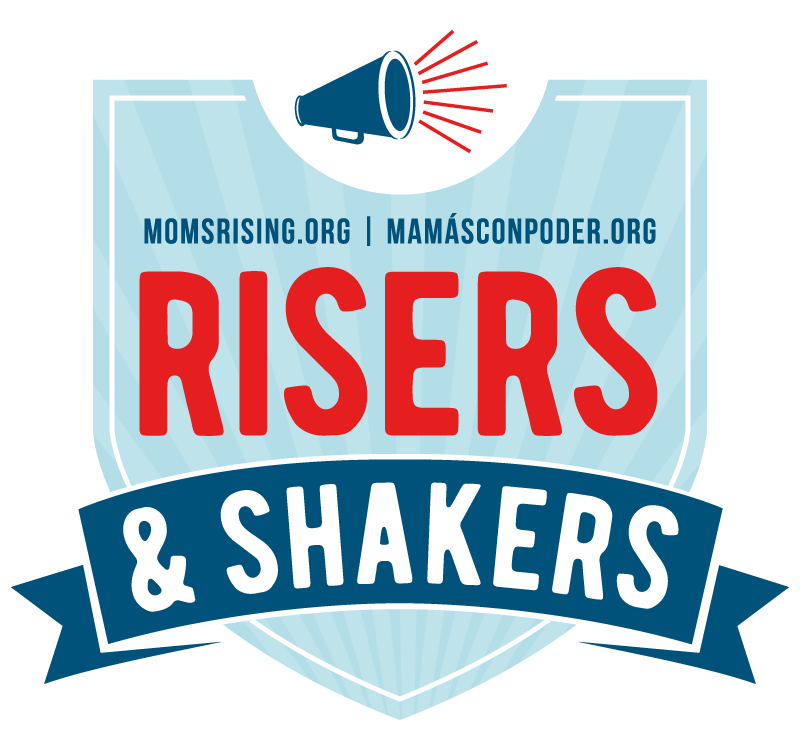 We all want our kids kids to grow up feeling confident about themselves and their abilities. While you as a parent can play a huge role in making this happen, so can your canine and feline family members. By having pets who provide unconditional love no matter what happens each day, kids are more likely to learn to overcome their fears and realize it is okay to make a mistake now and then. For many kids, especially those who are shy, forming friendships can be difficult. But when they have a cat or dog by their side, making new friends becomes much easier. By having a dog or cat to play with, take on a walk around the neighborhood, enter into contests, or just hang out with in a park, chances are other kids will stop by and want to pet their furry friend. When this happens, it may lead to the start of a lifelong friendship, or at the least give your child the chance to have some fun with a new acquaintance while they play with Fido or Fluffy. Some studies show that children who grow up with dogs also form a stronger bond with their friends. As kids grow up, it is important they learn the value of responsibility. 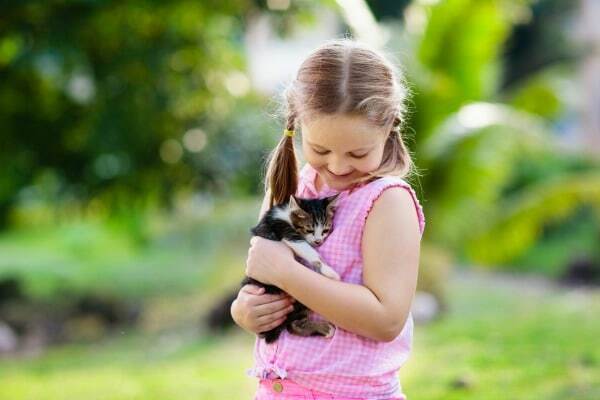 By having a cat or dog as a pet, this can be a great chance for you to show children just how important it is to act responsibly in taking care of their pet. Since pets rely on their owners to feed them, clean up after them, keep them safe and healthy, and play with them each day, owning a pet can teach kids many important skills. To reinforce this point even more, you can make responsibility part of the deal with your child before agreeing to add a kitty or puppy to the family mix. For kids who develop solid reading skills early in life, school becomes much easier, and a love of reading can open up a world of possibilities and new ideas. Having a cat or dog around can play an important role in literacy. Since pets will sit patiently while a child reads to them, this often gives kids added confidence in developing their reading skills. And unlike parents or teachers who may correct each and every mistake the child makes while reading, the dog or cat will simply sit patiently, listen, and be nonjudgmental from start to finish. As a result, the child often finds it easier to relax, which makes them enjoy learning to read. And who knows, thanks to the efforts of your family's dog or cat, you may someday have a best-selling author as a member of your family! Perhaps one of the most underrated and difficult to teach skills, empathy is still vitally important in creating strong relationships and developing into a caring adult. But having dogs and cats around can be a great teaching tool. By having your children see how their actions each day impact the lives of their dog or cat, they can learn why it is important to treat humans and animals with love, respect, and kindness. In developing that special bond that only pets and their owners have, kids can often grow up to be adults who value the importance of kindness toward others. In fact, even as they are growing up, many kids become much better team players, and often choose to volunteer at local animal shelters to help bring love and kindness to dogs and cats waiting for forever homes. With more kids than ever before struggling with weight issues and inactivity, having dogs and cats around can ensure your kids will get plenty of exercise. Since dogs and cats love to run and play, chances are your kids will be kept busy trying to keep up with their furry friends. 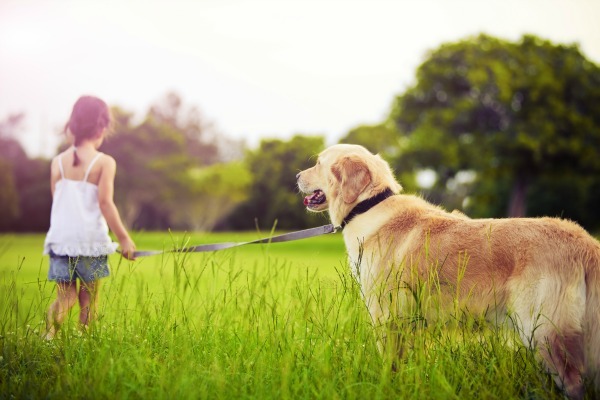 Whether running through the house, out in the yard, or at a nearby dog park, your kids will no doubt burn many calories and plenty of energy following around after their pets. Like any parent, you hope your child will grow up to have a successful career. By letting them have a dog or cat while they are growing up, you just might be setting the stage for them to become successful entrepreneurs. While many kids may go the traditional route and start lemonade stands or mow yards, kids who own pets tend to forge their own unique paths. For example, many will start dog-walking businesses, become neighborhood pet sitters, build dog houses, or even make homes for local feral kitties. As an added bonus, kids who start these or other similar businesses related to their pets will also learn money management skills, which will serve them well as adults. As children face stressful situations in today's world, owning a dog or cat can not only offer a respite from life's struggles, but bring a unique joy into their lives they never thought possible. Emily Parker is a cat mom to two black cats, Gus and Louis. She’s passionate about helping people love their kitties better, and writes regularly for Catological.com. She’s been featured as a cat expert in Reader’s Digest and hundreds of other publications. When she’s not writing or researching about cats, she likes to explore her neighbourhood for the coolest new (cat) cafes.